You are here: Home / Investments / PPF account Online: How to Do it? With things going online, PPF account is also not far behind. You can transact and make PPF online payment just like most other net banking transactions. Here’s how to do it. Net Banking has really made life easy for a lot of us, to a great extent. A lot of transactions that required 30 minutes to 1 hour are done in a few minutes and from anywhere – anytime. As long as you are careful about your passwords and PIN you should be fine. One product that however still requires some of your personal time is PPF or Public Provident Fund account. As I have explained in one of my earlier posts, it is a flexible investment and hence there are no bound schedules you have to follow for investments and deposits made to a PPF account in India. This however may result in delayed investment if you are busy and do not wish to visit the bank to deposit funds in your PPF account. This is problem too is overcome thanks to the internet and most banks going online. PPF account online is a great way to keep contributing to your PPF with just a few mouse clicks. How to Open PPF account online? Well, the PPF account opening procedure is the same and requires the standard set of account opening documents to be submitted to the desired bank branch you wish to open your PPF account with. However, make sure that that particular branch does have internet banking facility, otherwise PPF online payment won’t be possible. 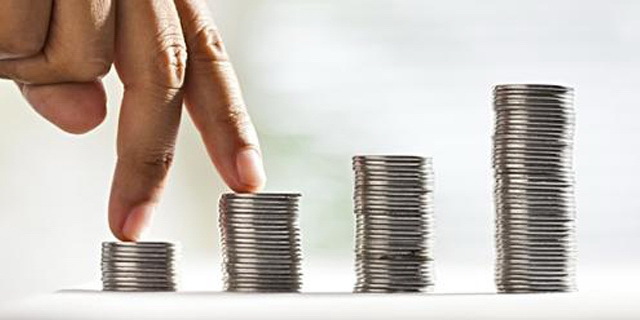 Also Read: Tax Saving Fixed Deposits: What are they, How they work? Once you have the PPF account opened and the PPF passbook received, you will be able to see the PPF account as linked account in your Internet Banking section once you log in. This is usually the case and you will be able to track the PPF account online. In case you are not able to see the PPF account linked to your internet banking, you can inform the bank and they would guide you through it, or do it for you. Once the account is linked, in your internet banking ‘Fund Transfer’ section you will be able to select this account as a Payee and make online payments to PPF account. All major banks like SBI, Bank of India, Bank of Baroda, IDBI, ICICI, Union Bank of India etc, and others, all have online facility. There was a time when only SBI was preferred for PPF and various other facilities, but that is a thing of the past now. It is almost uniform through to all public sector banks and a select few private banks. Also Read: Why is Owning a Home a Big Deal for so many? If you have an existing PPF account but it is not linked to your internet banking, then you can easily add it as a beneficiary and start making deposits in a matter of minutes. Before we get into adding the PPF account online for transactions through net banking, you must make sure that your branch where the PPF account is held does have internet banking and online transfer facilities. If they do not, then transfer the PPF account to a branch, where the facility is available. Go to the Transfers section on your Internet Banking menu. Click on NEFT transactions and then Add Payee / Add Beneficiary option. Now fill in the details. Make sure the Name of the account holder is the same as the one Shown in the PPF Passbook. You will be asked for a Payee Nickname, this could be short, and for you to know that it is indeed your PPF account, next time you are making a PPF account online payment. You also need your PPF account number and IFSC code of the branch where the PPF account is held. Once you have filled the details, carefully go through the Name, Account Number and IFSC code before clicking submit. Depending on your preferred authentication option, you would be sent and OTP (one time password) on your registered mobile number or maybe asked for ATM PIN or ATM Grid that is at the back of your ATM or Debit Card for validation. Once that is done, you will be prompted to enter your Transaction Password and then the Payee, in this case your PPF account will be added to the list of payees in your net banking. Also Read: Why are Local Retail stores still smiling in spite of Online shopping in India? The Validation and Authentication process may differ from bank to bank, but the procedure of Adding a Payee/Beneficiary is pretty much the same. You are all done, now all you need to do is login to your internet banking and select the PPF account from a list of Payees and enter the amount you would wish to deposit and proceed. You have just made an offline PPF account Online and make payments to your PPF account online. 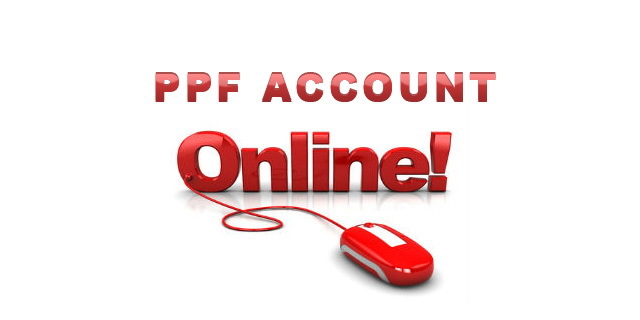 PPF account is a PPF account, however you need to have it in a bank to be able to have online options for it. You can put it as saving a/c. As far as the account no and IFSC is correct the payment will go through. I suggest you make a small transfer first to check it like 10 Rupees or so. If that is successful then its all OK.
I’ve a PPF account with PNB having a four digit account number…How can I link this to an online netbanking account?So, far I got some search results which say that a 4 digit a/c no. is old format and can’t be linked for online online…Is it true? The online banking will not work with 4 Digits. What you can do is, visit your bank branch and ask for a 10-12 digit account number in place of the 4 digit one. They will help you out on this one. Then you can do an online transaction. You can deposit cash to your IDBI PPF account. Or you can add your PPF acount as payee in your OBC netbanking and trasfer money that way. Ideally if you have a savings account in IDBI you will be able to link your savings account to PPF account. That is the easiest way in this one. I have a PPF account in Calicut Head Post-office; Is it possible to deposit money in it from anywhere in India by online method? Unfortunately Post Offices do not allow for online PPF payment. This is possible in banks, but not yet for post office PPF deposits.